Jude & Joan picked up their lucky entry form by spending over 10 in PC World’s Sligo store and won 1500 in vouchers from Castledavitt Furniture, Currys P.C World, Homebase, Homestore & More, Smyths Toys, McDonalds, Harry Corry and EZ Living Furniture. 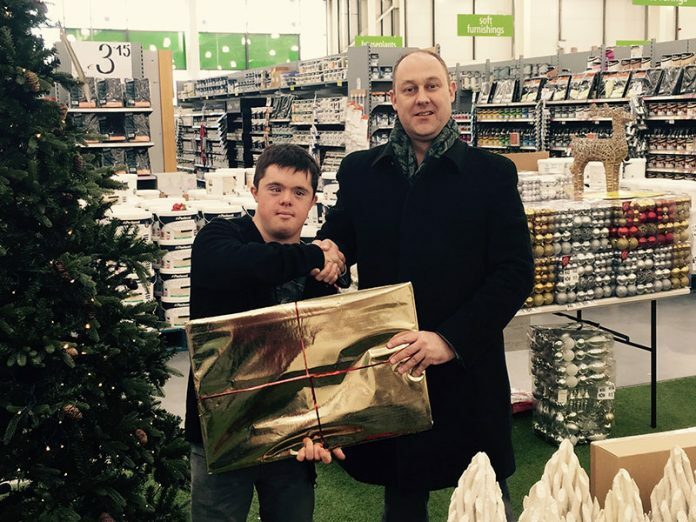 Jude seen here collecting his prize from Philip O’Brien of Creation Media is going to put some of the vouchers towards a video camera for Christmas and use the rest in the sales. Christmas certainly came early for one lucky family! Next articlePictures from Sligo Weekender now available!